All of our compounds are designed to outperform the materials they are intended to replace – traditional foams, rubbers and plastics. Custom compounding allows us to meet or even exceed your target specifications. With traditional materials, post-manufacturing scrap is incinerated or pushed into landfill. With PLUSfoam, all scrap is recycled at the factory level and is immediately used to produce more material. This innovative recycling process is one of the several benefits of using PLUSfoam and keeps hundreds of thousands of pounds of waste out of landfills. You can see what this process looks like in action by watching some of the videos on our Vimeo page. Our team of materials experts and industrial designers will work with you to design the highest quality material for your product and provide manufacturing guidance. With PLUSfoam staff both in the United States and China, integrating with your supply chain is seamless. We can assist with crafting new design ideas and utilizing state-of-the-art manufacturing processes. In addition, we have a vast network of factories around the world that we can help you tap into for production. Our design and materials specialists will help you and your team seamlessly integrate PLUSfoam into your existing or upcoming product(s). Unlike most materials suppliers, everything we make is custom compounded. We will craft a unique version of PLUSfoam for your project. Once your material is ready, our manufacturing specialists will ensure that everything gets to the right place and is performing as expected. By switching to PLUSfoam, you're product is gaining performance benefits and recyclability. We'll help you tell the new story. We want to put landfills out of business. Not only does PLUSfoam handle and ensure that all of the manufacturing waste is recycled, we also manage consumer reclaim for our brand partners. Consumers can easily log generate a return shipping label for their used product from a desktop computer or a mobile device. Any product made using PLUSfoam can be returned to any of eight reclaim centers around the world. Hangtags and on-product marking ensure that consumers know that their product is 100% recyclable and how to recycle it. Our app will then generate a shipping label for the reclaim center closest to the consumer. We have recycling centers in the USA (2), Brazil, Canada, Germany, China, Japan and Korea. Once we receive the used product, our team will email the consumer a reward, if applicable. 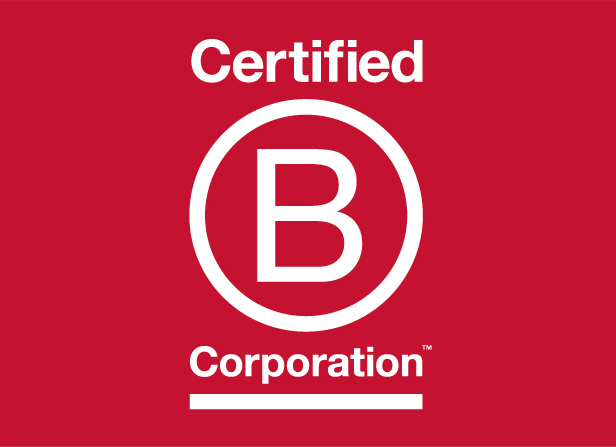 Certified B Corporations are progressive businesses focused on, above all else, solving social and environmental problems. PLUSfoam is proud to be the first materials company in this growing and cutting-edge movement and will use the rigorous B Corp assessment as a framework to continuously improve its practices as it scales its business. PLUSfoam is proud to be part of this growing and cutting-edge movement that includes Patagonia, Seventh Generation, Kleen Kanteen and many more.